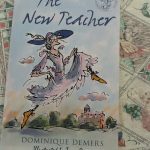 With the new term about to start there are many teachers out there who are looking for good and exciting books that they can read and recommend to their younger pupils this year. These suggestions are hopefully ones that will help them; they are really for KS1 and KS2L and whether the children read them individually is obviously a matter for the staff. 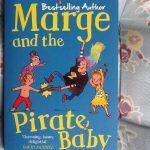 However they have all got potential to be read to the children if teachers are looking for funny, interesting or exciting stories that do not take the whole term to read. Give some of them a try and decide whether they will work with your young people. 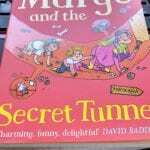 “Marge and the Secret Tunnel” by Isla Fisher and Eglantine Ceulemans is the fourth in a series about one of the most eccentric babysitters you are likely to meet. Jemima and Jakey often have to spend time with a babysitter and until Marge came on the scene they had always disliked the experience. However with Marge everything becomes an exciting adventure and in this story they go exploring in a secret tunnel that they find at the bottom of the garden. there are actually three stories in this book, the other two being about a”great shopping race” and the “lost kitten”. 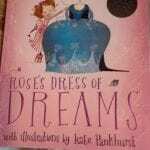 Having these short stories makes them very accessible, not only to new readers but also for reading in class; they are just long enough to read the whole tale in one session. 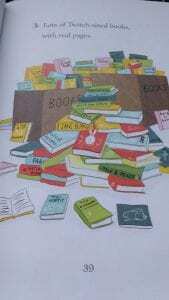 Great for KS1 children. 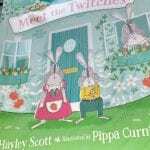 “Meet the Twitches” by Hayley Scott and Pippa Curnick. This is a delightful introduction to a young girl, Stevie and the family of toy rabbits called the Twitches. When Stevie and her mother move from their tower block flat she is given a wonderful and quaint dolls’ house, in the shape of a teapot. Included are all the furnishings and fitting and a complete library; most fantastic of all are the family of toy rabbits that inhabit the house. What Stevie does not know is that the rabbits magically come alive and when the father, Gabriel is lost in the garden during the furniture moving, it is up to the family and especially young Silver to find him and get him back home. 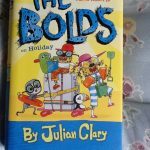 It is a lovely story about the importance of home and family and I am looking forward to reading more of their adventures in the future. 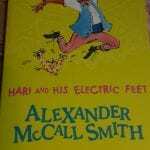 “Hari and his Electric Feet” by Alexander McCall Smith and Sam Usher. 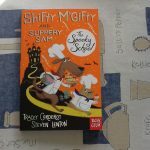 The author is well known for the crime series that he has written over the years, but he has also become known for the stories that he has written for children. This book is by Barrington Stoke and is a delightful story of hope and how music and dance can have a beneficial effect on people. 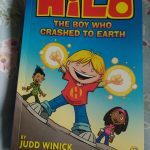 Hari and his sister live with their aunt in a big city in India, as their parents have had to go away to earn money and Hari helps by making sweets and delivering lunches. he is an avid fan of Bollywood films and loves the dancing; so when his sister suggests he tries it himself, he does and discovers a talent to make others dance along with him. This leads to all sorts of adventures and a happy ending for the whole family. This is a real “feel good” story and has lots of lessons for the adults of the world, so why not get dancing. “Mr Penguin and the Lost Treasure” by Alex T. Smith is the fantastically funny story of an intrepid adventurer and detective as he searches for a lost treasure. The fact that he is a penguin and his sidekick is a spider just adds to the totally whacky plot. 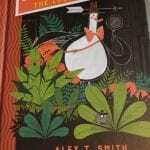 The illustrations are weird and wonderful and Alex T Smith has created a truly original new hero. there are lot of twists and turns in the plot and you cannot be sure who are the villains and who are the good guys. I am sure that we will see a lot more of this exciting hero with a love of fish finger sandwiches. 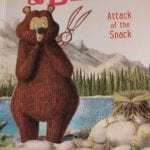 “Rabbit and Bear: Attack of the Snack” by Julian Gough and Jim Field. 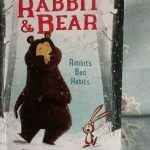 This is the third in a series of short stories about Bear and his friend Rabbit. One day they are out swimming when a creature crash lands in the lake and they pull it out, but they have no idea what it is. Eventually they discover that it is an Owl and all their friends have a view about what type of animal an owl is. It is a fascinating look at how we are affected by rumours and scaremongering and I think there are many links to what can happen in the real world. Children however are going to love the information at the end of the story, as the Owl (he is a burrowing owl) explains that he lines his hole in blueberry Poo, in order to attract beetles to eat. 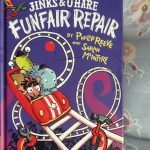 There are brilliant illustrations and extremely funny characters; it will be a great read for those gaining confidence, but also a lovely class read. 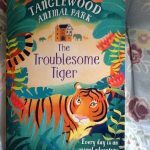 “Tanglewood Animal Park: Elephant Emergency” by Tamsyn Murray is the third story about the Tanglewood animal park and in particular Zoe, the daughter of the owners and Oliver, the son of the park vet. 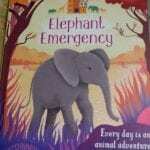 Each of the stories has followed the fortunes of new animals as they are introduced to the park and in this story it is a family of six elephants who are being re-homed, from a zoo that is closing down. 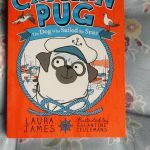 This is a wonderful story of the ups and downs of looking after animals and there is a real sense that the author truly knows what it is like to be involved with all of these creatures. For anyone who loved the TV series about Longleat, or just loves wildlife, these are a fantastic read. 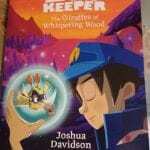 “Night Zoo Keeper: Giraffes of whispering wood” by Joshua Davidson and Buzz Burman mixes magic and wild animals in a lovely story. 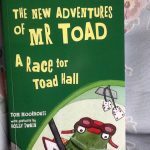 When Will is transported into the world of the night garden he enters a world of imagination where he has to save the animals from the robotic spiders, called Voids. It appears that he is the next “Night Zoo Keeper” and he and his friend Riya have to help the giraffes who inhabit this part of the zoo. This is a great story about letting your imagination fly and not being afraid to be different from everyone else. Well, there they are. Hopefully you will have found something that excites you. 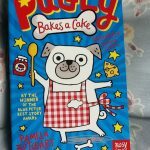 I would also suggest that you look on the websites of these publishers, because they are going to have other titles that you may want to consider and they often have additional materials that the children can use both in class and at home. Anyway, do Enjoy!